The holiday season is upon us. That means you’re likely to be indulging in lots of holiday meals, treats, and sweets. To keep from damaging your teeth, which can result in damage to your wallet, take steps to protect your smile. Stuff your stocking with these great tips to keep smiling all year long. No matter how tasty caramel and taffy may look, they can stick to your teeth long after you’ve finished devouring the treat. Even after brushing, you may have bits stuck between your teeth. What’s worse is that if you have fillings, chewy substances can potentially yank them right out of your mouth. Avoid a variety of mishaps by passing up on any holiday dishes that stick to your teeth rather than your ribs. As you’re indulging in rich dishes your friends and family only make during the holidays, snack on healthy veggies and fruit between helpings. They may not taste as great or look as appetizing as the main course, but eating healthy is good for your overall oral health. Rather than removing the shells of nuts with your teeth, use a nutcracker instead. Shells can easily damage not just your teeth, but your gums as well. You don’t want to have to schedule an emergency visit to your dentist because you chipped a tooth. Pick up a nutcracker to break through shells while you enjoy the nutritious and easy-to-chew nuts inside. The same principle above applies to gifts and bottles. In your excitement or eagerness, you may rip your way through gift packaging or a bottle of holiday wine. Just like with shells, bottle caps and packaging can crack or damage your teeth. If that happens, you may need a root canal or even a crown to get your teeth back in order. That’s probably not what you’re hoping to receive this holiday season, right? Try not to get so caught up in the holiday spirit that you forget to brush and floss. Remember, it’s you who’s on holiday break, not your oral routine. Brushing and flossing twice a day is especially essential if you’re eating and drinking foods outside of your normal eating habits or diet. This is because you may be consuming more sugar or carbohydrates, both of which act as a breeding ground for cavities. Go ahead and schedule a visit with your dentist for a cleaning and checkup after the holiday festivities are over and done. Chances are that your dentist’s regular patients aren’t exactly lining up for appointments during this time. That means you’ll probably have an easier time getting in when you want to. The reason it’s good to see your dentist right after the holidays is so you can clean out any debris left over on your teeth from holiday feasts. You’ll also know if there are any minor problems with your oral health that need to be addressed. 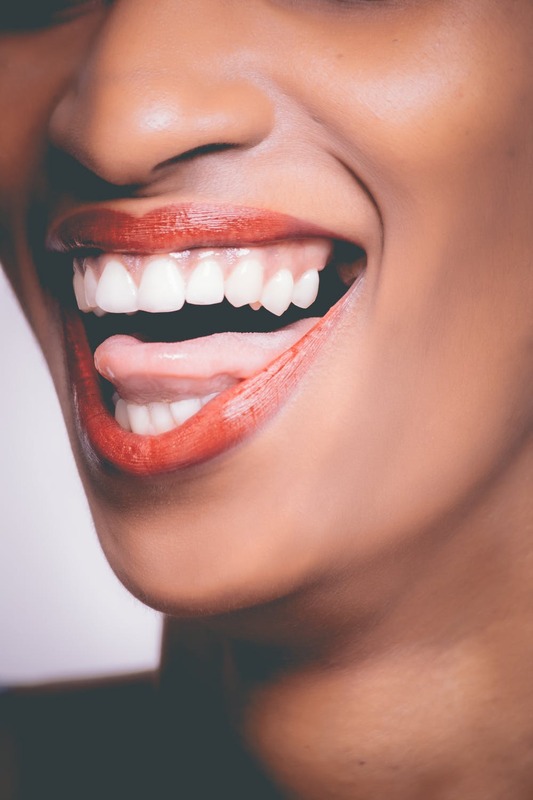 An oral professional like Dr. George Hatzigiannis can tell you that issues like cavities often don’t make themselves known until well after they’ve got a foothold on damaging your smile. There may be some members of your family you could do without seeing or speaking to this holiday season. Your stress may drive you to bite your nails as a way to cope. It’s best that you find another way to manage your anxiety, as nail-biting is bad for your teeth. Even if you don’t bite your nails, there’s a chance you may grind your teeth or clench your jaw when you’re stressed. These habits are also bad for your teeth. Take note of how your stress could be negatively impacting not just your oral health, but the rest of your health as well. Before reaching for another glass of eggnog or holiday punch, break for a glass of water. Water is a great way to wash away any food debris in your mouth that can linger and cause decay. Additionally, drinking plenty of water can help to freshen your breath and aid in digesting all that delicious holiday food you’ve enjoyed. You may also be pleased to learn that water can help you feel full. That way, you have a better chance of not overdoing it with the holiday helpings, which may expand your waistline. Stock up on cinnamon gum now before the holidays roll around. Cinnamon gum contains an oil that helps stimulate your salivary gums to help wash away harmful bacteria in your mouth that can lead to cavities. Even better is that the cinnamon flavor is a good way to freshen your breath so you don’t accidentally offend anyone you’re talking to. Maintain and improve your smile this holiday season. These tips can help you ring in the new year with healthy teeth and excellent oral health. That’s most certainly a great gift that keeps on giving year after year.